For all the scandals and backstabbing that the Tory party (the ruling government party in the UK) has seen in the past few years combined with the (universally acknowledged by the MSM) weak leadership that Prime Minister Theresa May has shown, many outside of the UK are left to wonder why no other political party has so far been able to take over. One of the reasons is that that Labour party (the main opposition party of former Prime Minister Tony Blair) has been hijacked for a few years now by its extreme left and that the people now leading it seems to be stumbling from scandal to scandal themselves. Related coverage: <a href="https://thegoldwater.com/news/34293-UK-Labour-Leader-Corbyn-Pictured-With-Multiple-Terrorists-In-Tunisia"> UK – Labour Leader Corbyn Pictured With Multiple Terrorists In Tunisia</a>. No wonder senior Brits are turning in ever greater numbers towards UKIP, the SNP or even the Liberal Democrats. At first, there is Mr. Jeremy Corbyn, a self-declared lover of communism who has been pictured, at several occasions, with leaders of Hamas and other terrorist groups. 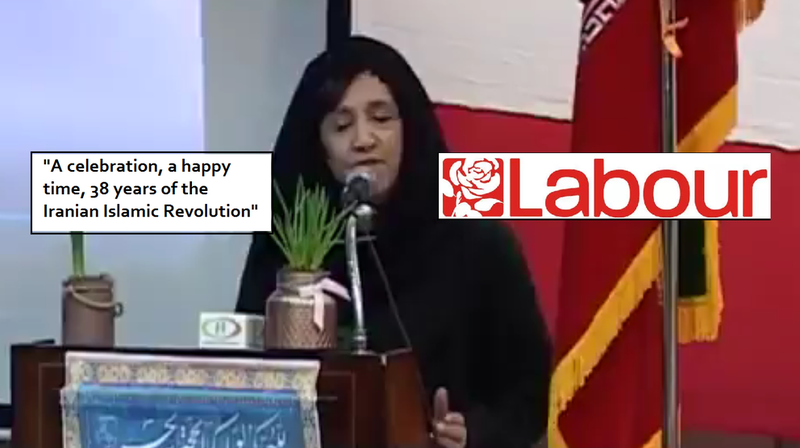 And over the weekend, the Labour party members, with an overwhelming 88,176 votes chose to elect Ms. Yasmine Dar to headline the Labour party's ruling National Executive Committee, the ruling body that has to decide on policy issues together with Mr. Corbyn. The event where Ms. Dar spoke took place at the Manchester Islamic Centre, in front of a huge portrait of Ayatollah Khomeini, the Islamic leader who held Americans hostage during the 1980s crisis. Today still, Iran holds several British nationals prisoner, executes homosexuals and children on a regular basis. The British LGBT movement better knows who they are voting for. With such an opposition, no wonder Prime Minister Theresa May has nothing to worry about.